I received an email late last week from the organiser of Malaysia International Tourism Bloggers Conference & Awards (MITBCA) informing that Ramble and Wander has been nominated for 'Malaysia International Tourism Photography/ Art Blog Award'. 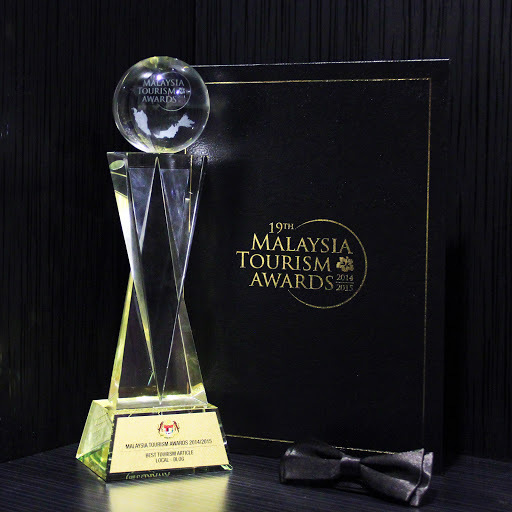 While I got to know about MITBCA following its event which was held for the first time in 2012, the nomination still came as a surprise to me as there are just so many travel blogs with interesting stories and even more beautiful photos out there. Knowing that the nomination came from one of the readers made it all the more meaningful. The award is going to be based on voting by the general public (carries 80% weight) and judges' assessment (20%); and while I don’t expect to win it, I hope this first ever nomination would give Ramble and Wander a better exposure to allow for it to grow further and better. I would therefore appreciate it very much if you (and your family and friends and colleagues and students, heh heh! ;-)) could support Ramble and Wander through your vote. And that's it :-) The whole process really shouldn't take more than 1 or 2 minutes. When you log in using your Facebook account, you don't need to submit your details, just simply click "Skip" and you'll be brought to the voting page. You can vote only once per category. The last day for voting is Friday, 22nd February 2013. Awww.. i wonder who nominated u? LOL. So it was you who nominated me? Kalau betul, tersentuh hati kejap, LOL. Nice pic!Hope you win <<< --- ayat org malas type. WOW! ALways love what you wrote! !